Cruise Lines International Association (CLIA) said that as 2011 gets underway and the global economy continues to show signs of recovery, its 25 lines and member travel agents are expressing confidence that the coming year and beyond will see record numbers of passengers. It also expects the cruise industry to out-perform other segments of travel. A CLIA survey conducted in December of member travel agents found that 2010 was stronger than 2009 and that 93.6 percent are optimistic about travel sales in 2011 and beyond. Eighty-six percent of agents anticipate cruise booking increases in 2011. Eighty-five percent expect the 2011 Wave Season (January-March) to surpass last year -- and by 16 percent on average. Agents also predict that cruises will outperform other types of travel in 2011 and in the coming years. The expected impact of 14 new ships in the CLIA member line fleet, continued diversification of global itineraries and new shipboard experiences are expected to help boost the industry. In the December survey, agents reported that cruising has earned the No. 1 ranking in consumer interest compared to other types of travel largely because of perceived value, past cruise experience, price and the excitement generated by new ships. When final figures are totaled, CLIA expects to report that member lines, operating at 103 percent occupancy, carried 15 million people in 2010, including 11.1 million North Americans. The forecast for 2011 is 16 million passengers, an increase of 6.6 percent, with 73 percent of guests, or 11.68 million, coming from North America, and 27 percent, or 4.32 million, sourced internationally. Bob Sharak, CLIA’s executive vice president of marketing and distribution, said despite a challenging financial climate, CLIA member lines continued to invest in the future, building new ships, offering innovative new cruise experiences, and developing increasingly diverse itineraries all over the world. 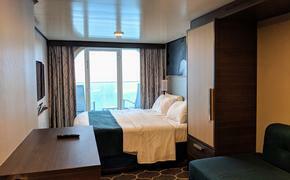 “As consumers recognize the unparalleled value of cruising, whether it’s a three-day voyage to the Bahamas or a world cruise, and the unique travel opportunities and experiences cruising offers, that commitment to growth is paying off,” he said. Since 1980, the average annual passenger growth rate for CLIA member lines has been more than 7.5 percent. In 2010, 12 ships representing an investment of $5.9 billion, ranging in capacity from 101 to 5,400 passengers, joined the CLIA fleet. Between 2011 and 2012, an additional 22 ships are on order, including 14 in 201l. These include Carnival Cruise Lines’ Carnival Magic (3,652 passengers); Costa Cruises’ Favalosa (3,502 passengers); Celebrity Cruises’ Silhouette (2,850 passengers); Disney Cruise Line’s Disney Dream (2,500 passengers); Oceania Cruises’ Marina (1,260 passengers); Seabourn Cruise Line’s Quest (450 passengers); Pearl Seas Cruises’ Pearl Mist (210 passengers); Avalon Waterways’ Panorama (166 passengers); AMA Waterways’ Amalotus (124 passengers), Amaverde (162 passengers) and Amakaterina (212 passengers); and Uniworld Grand Boutique River Cruises’ Douro Spirit (128 passengers), SS Antoinette (164 passengers) and River Victoria (206 passengers). Fleet additions between 2010 and 2012 represent a net fleet capacity increase of 17.4 percent, or 51,306 beds. In late December, CLIA surveyed its cruise line members to determine 2011 trends and compared them to the predictions made by member travel agents. Both groups agreed that among the “hot” destinations of 2011 will be all regions of Europe, including European rivers; the Caribbean; South America; Asia; and the Pacific. Other trends reported by the cruise lines include globalization of itineraries, including shorter cruises in Europe and elsewhere; increased choice in dining experiences, with more specialty restaurants, guests chefs and local sourcing of food; continued evolution of onboard spas, including top-branded spa partners; focus on personalized cruise experiences both onboard and on shore, with private or exclusive shore excursions, activities targeting specific demographics, including families, children, sports, active vacationers and special interest itineraries and programs; strong interest in theme cruises, particularly food and wine, music, culture and art; and passenger growth among baby boomers, families/multigenerational groups, first time cruisers and corporate/meeting groups. CLIA’s survey also found an expanding booking window, from an average 4.5 months in 2009 to an anticipated 5.8 months in 2011, according to agents. Many cruise lines reported average booking windows from five to seven months. For more information about CLIA, visit www.cruising.org.